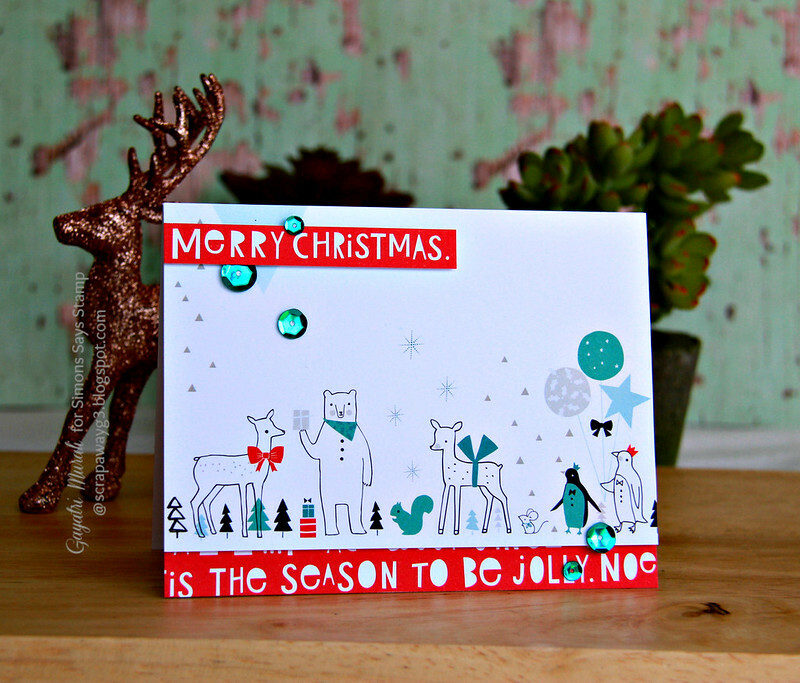 I received Simon Says Stamp December card kit yesterday! I opened and instantly loved the kit. The kit is very trendy. The colours, the designs of the pattern paper and puffy stickers from Pinkfresh Studio are fab. The coordinating stamp set from Simon Says Stamp is awesome. You can buy the stamp set separately too. I couldn’t wait this morning to play with it. Once I was back from my gym, I opened the box and made four cards. Today I am sharing one card out of the four. This is no stamping card. I loved the pattern papers so much that I decided to use the papers to make my first card. I just trimmed the pattern paper with the penguin, deers, bear and squirrels on them and layered with the red pattern paper with Christmas sentiments on them using foam adhesives. The sentiment is also trimmed from the red sentiment pattern paper. Finally embellished with the teal sequins from the kit. How fab and trendy is this card? I love it. This kit is perfect to make some last minute quick and trendy cards. And you can make two of the same cards because there are a pair of same pattern paper in the collection and plenty of self adhesive sequins. Hope you like my card. I will keep sharing the cards made from the card kit through out this month. 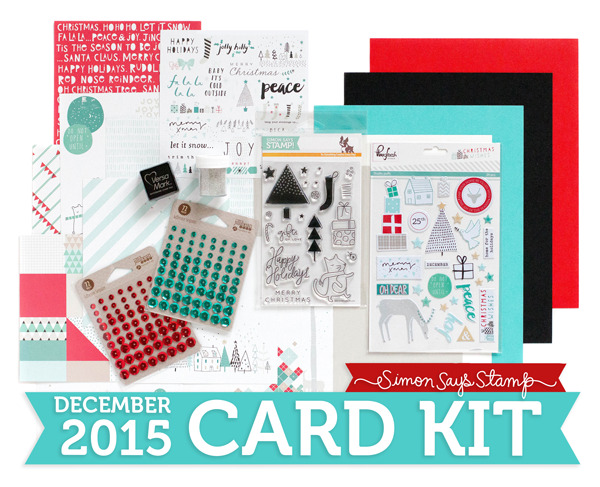 This December Card Kit is available for purchase from Simon Says Stamp Store. I've got that paper pack & you've inspired me to use it! Prettiest, love this PP created creation! Thanks for sharing this in the SSS gallery!